With Ice Age being my first film on DVD in my own collection, it would only be a matter of time before that collection grew. Being young, there weren’t many opportunities to expand it, but over the years I amassed a great collection of films. One of which was added early on and became a favourite of mine for a few reasons. 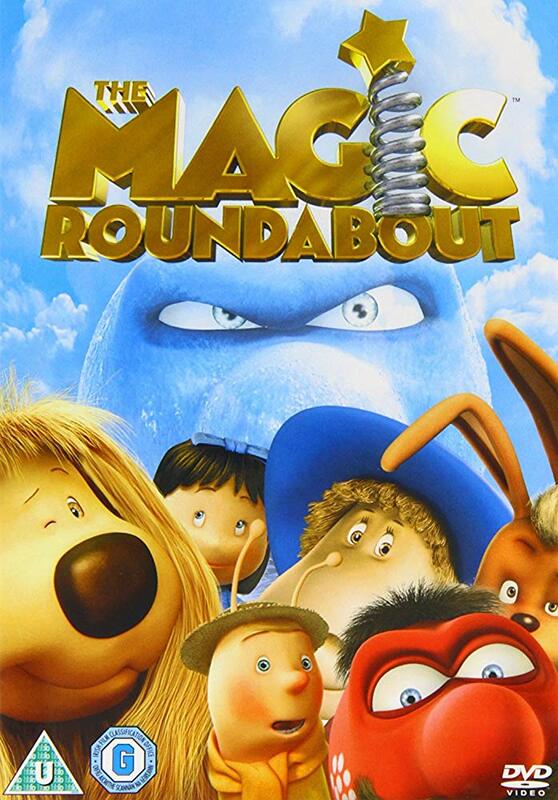 I had no experience of The Magic Roundabout series, with the movie being my first outing with the cast of animals, humans, and spring-things. It also became a way for me to be introduced to several music performers – with one of those bands becoming one of my greatest favourites. The movie features two of those songs very close to each other. The opening credits – featuring Magic by Pilot. Then You Really Got Me by The Kinks, except this version being sung by two of the cast. It’s a fun take on the song, and in just that scene the character of all the cast is present. Another show of character is the flashback/dream sequence to before evil’s escape, with all the characters enjoying themselves on a sunny day, as Mr. Blue Sky by ELO plays. It was this song and this scene together that my love for ELO started, as I’d always be associating that song with this movie and specifically that scene. The scene captures the contrast between the two times perfectly, and is one I always remember fondly. I Love To Boogie by T.Rex being a part of the end battle shows that this is about as light-hearted a story as you can get – even with the end of the world villain plan. Oh, there are parts where it takes itself serious to allow the characters to express themselves in the situation, but this isn’t supposed to be a dark tale. Dougal is the star. The catalyst of the plot. And a loveable dog who learns a lesson – sort of. Then there’s Ermintrude, the singing cow who sees herself as a sensational star – even if all but one disagree. Brian might be a snail, but he’s a brave fellow even if he fumbles with expressing his feelings of love. Dylan is my second favourite of the cast, the carefree rabbit who keeps his cool no matter the situation. Also a part of the cast are Zebedee, Florence, the other two children – named Basil and Coral here, along with Mr Rusty – the faithful roundabout operator. Only Zebedee – the jack-in-the-box creature – has any importance, with the others being trapped on the roundabout for most of the movie when it becomes encased in ice. The humans serve the story of being those characters our heroes are rescuing, adding flavour to the dream sequence with Florence also being a part of Dougal’s nightmare when all looks lost. These characters are another of the reasons this became a favourite of mine. There’s plenty of end of the world scenarios in a variety of movies so the characters really have to sell it. Since there’s something to like about all of them, it works. The third reason would be the references it makes [which were boosted to a massive degree in the American version which from what I understand took over the entire movie] and the well-executed jokes. Yes, it’s very Saturday-morning-cartoonish, and in a way feels more like set-pieces of such cartoons than an actual self-contained movie, though I certainly love how Zeebad is the epitome of such cartoons. His plan, his emotions, and even personality match the villains found in such cartoons. However, it has the perfect blend of music and character, and the action scenes are still well crafted. It might not be one of the greatest movies around, but for the experience it has given me and the introduction to several things – ‘cus, hey, I sure did look back on the history of The Magic Roundabout series and take an interest in it after this movie – it holds a place as one of those greats for me.